Some people dream of being President. Other people dream of saving the world. My dream: To have nonstop access to chocolate all day and all night. I’m not proud of this. I should really want more out of life. But I lose a mass of brain cells and lots of stamina when chocolate is around, especially these brownies. 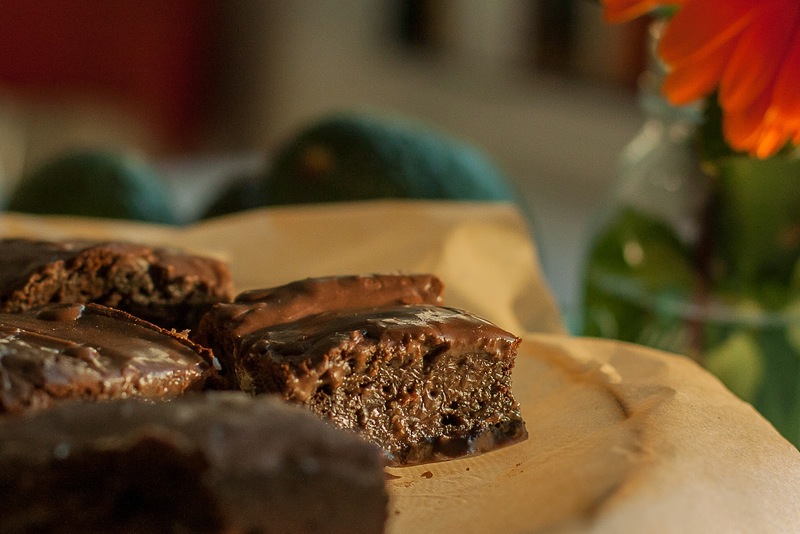 Avocado Brownies with Chocolate Glaze look and taste like fudge made with lots of butter. But guess what! There is no butter. Not a trace. And they are gluten free. True story. Make these and you’ll give up that dream of being President one day. Who has time to save the world when you have a dozen brownies to eat? Using an electric mixer on high, whip the eggs and sugar until fluffy; about 3 minutes. Reduce speed to low, and slowly add the melted chocolate, vanilla and mashed avocado until combined. In a separate bowl, combine cocoa, sugar, brown sugar, rice flour, and salt. On slow speed, add the dry ingredients to the wet ingredients until combined. Turn off the mixer. Pour into a greased 8x8 baking pan and bake until the top begins to crack; about 30 minutes. Use a toothpick to test the center (they are done when the toothpick comes out clean). Cool on a wire rack. While the brownies are cooling: In a small bowl, combine powdered sugar, cocoa powder and almond milk until smooth and creamy. Drizzle glaze over room temperature brownies and allow to dry; about 10 minutes. 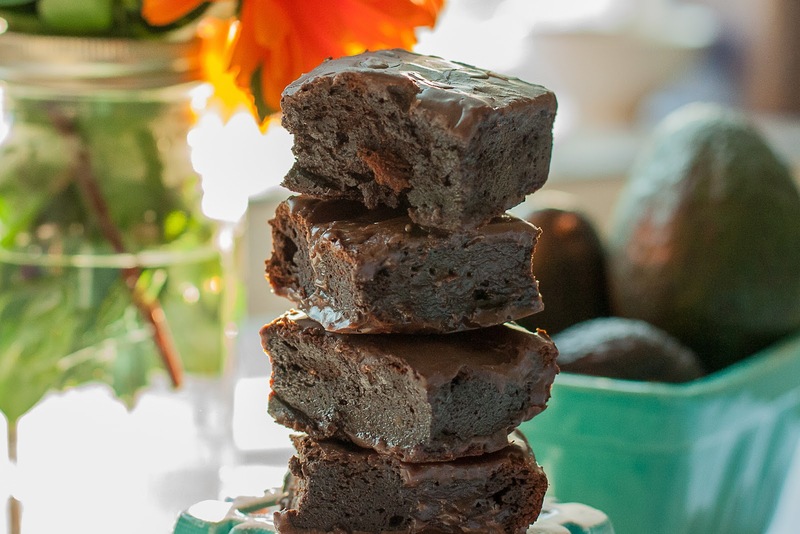 Ok, I've made zucchini brownies, but never avocado--- how creative!